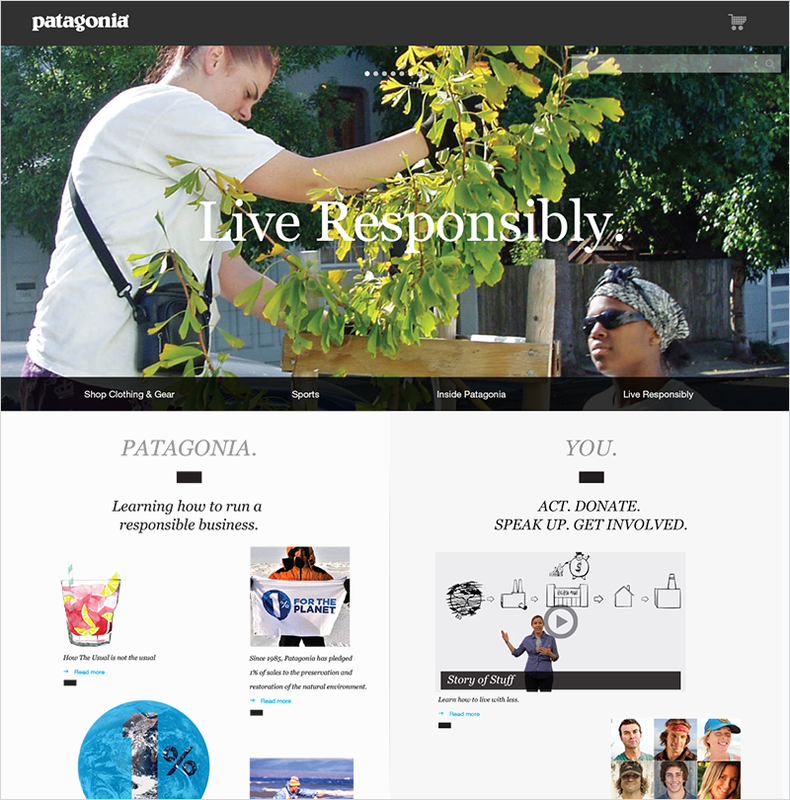 Fortune magazine believes Patagonia is “the coolest company on the planet.” Patagonia pioneered (and continues to lead) in how to be a responsible company. 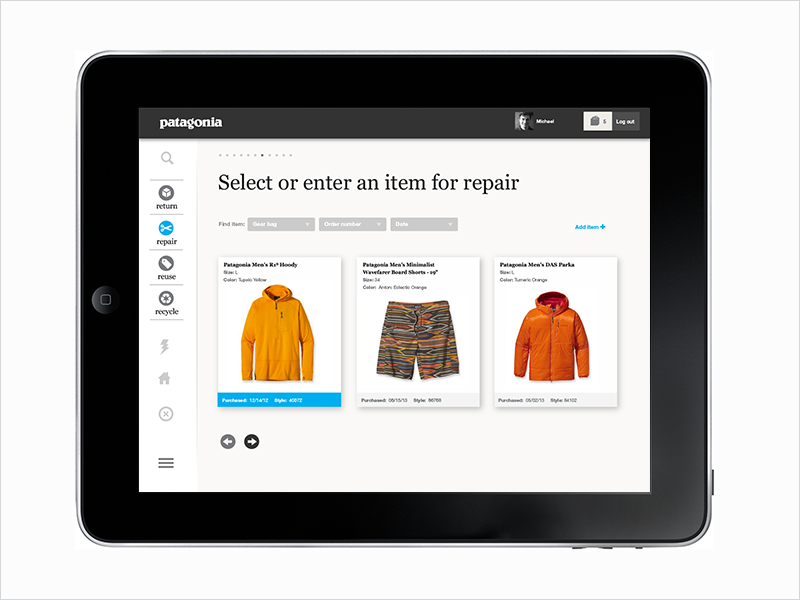 By encouraging people to buy less, and take better care of what they buy, Patagonia hopes to change behavior at the scale of its customers. DDO worked with C[IQ], a CRM strategy firm, to help the company re-imagine its Common Threads Initiative. 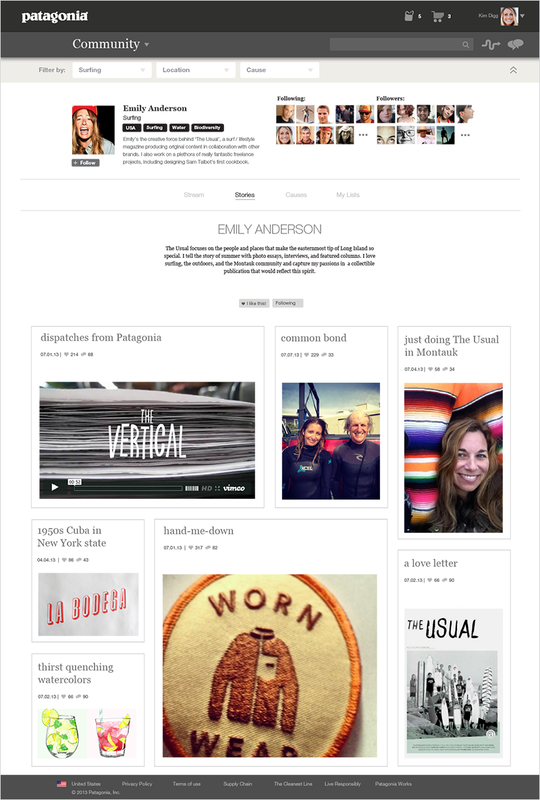 With Patagonia’s digital strategy team, we set a very large goal. 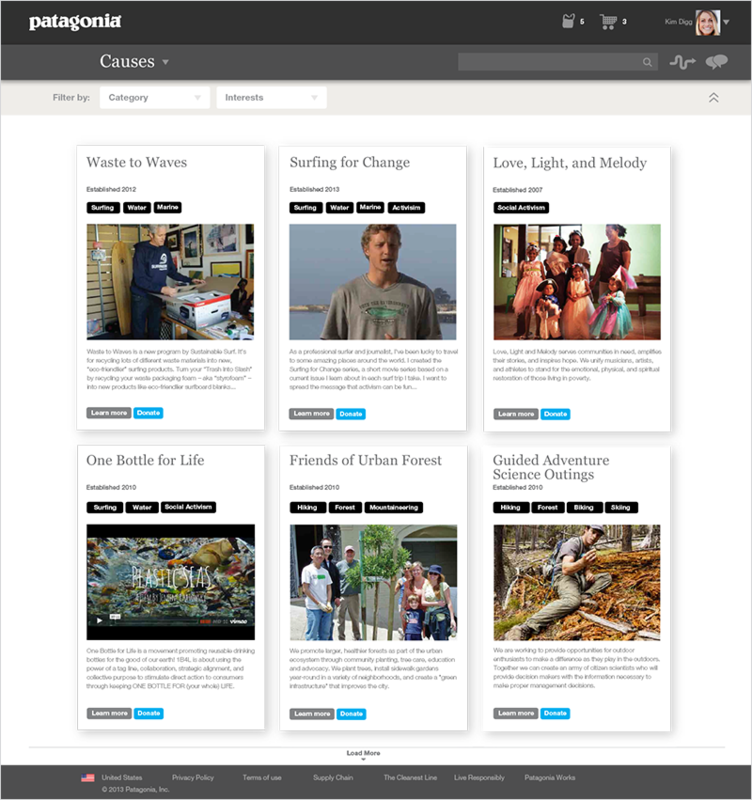 We asked Patagonia to build a platform to engage its customers, suppliers, partners (and social networks) in changing their behavior and the world. 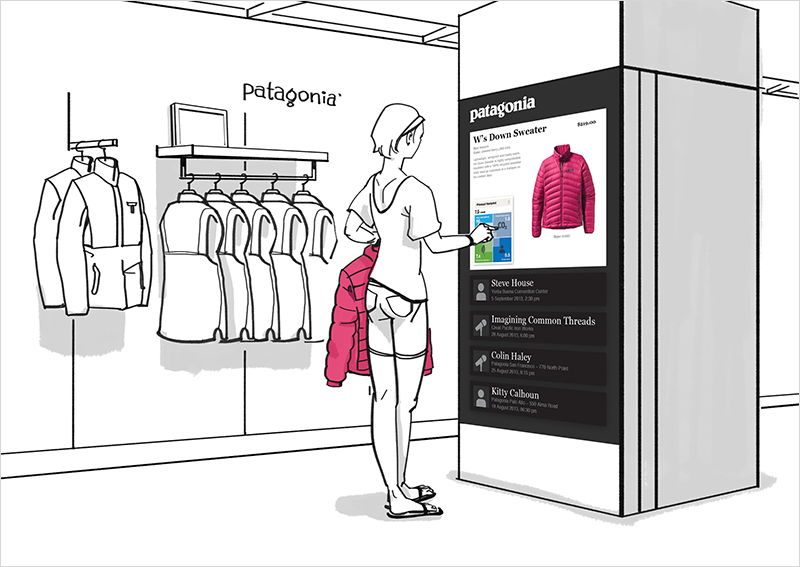 Our design work included defining membership engagement (connect people to make common cause) and creating service scenarios with in-store mobile applications and event kiosks. Connecting people to causes they care about. Creating an easy way to repair the items you love. Tell me more about this jacket. 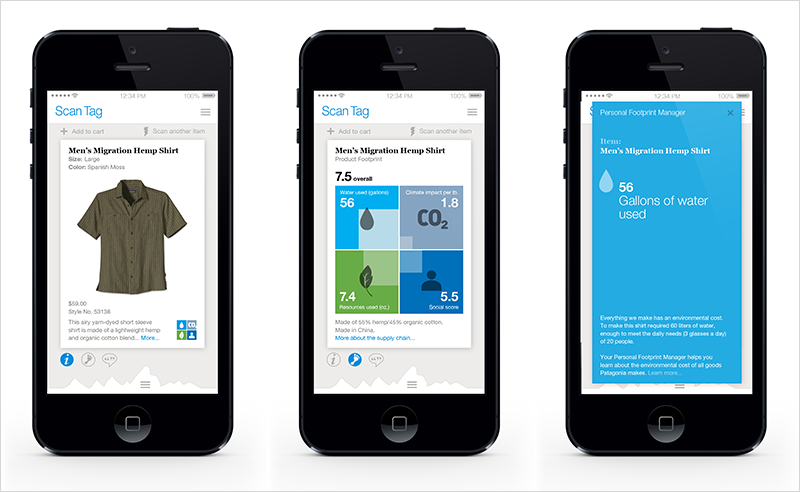 Compare the environmental footprints of your purchases.